We are looking for soup-er heroes, to make soup, lasagna and pie for local emergency shelters. In this Thanksgiving season, you can help with cooking, set up, clean up and/or delivering food at Soup-er Sunday. 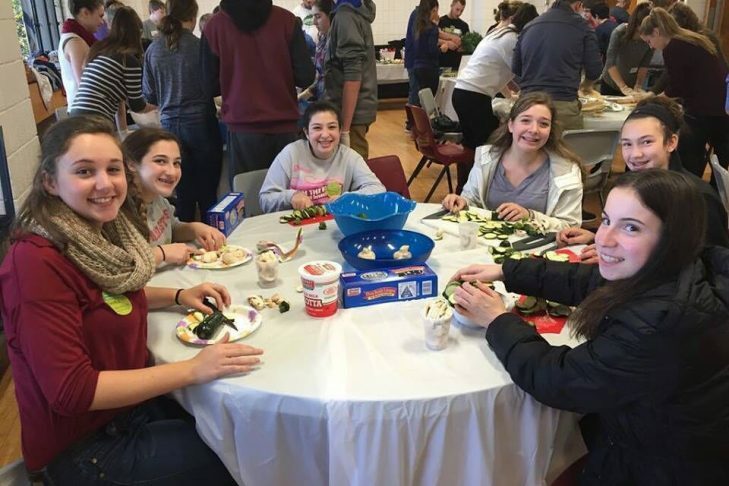 Soup-er Sunday is one of NSTI’s largest service learning programs. It takes place on or around Mitzvah Day International, which is an international day of service encouraging people all over the world to take part in hands-on social action. Here on the North Shore, 100+ teen and adult volunteers have the opportunity to prepare and cook various foods, and then deliver the food to local emergency and family shelters as a pre-Thanksgiving meal. The day will begin with pizza for lunch. Guest chefs will be on hand for culinary inspiration. No cooking expertise is required! Torah Hub for Teens Discussion #3: Express Yourself!